Behind SLO GOOD LIVING are a Great Taste Award-winning husband and wife duo who are passionate about taste and healthy living. 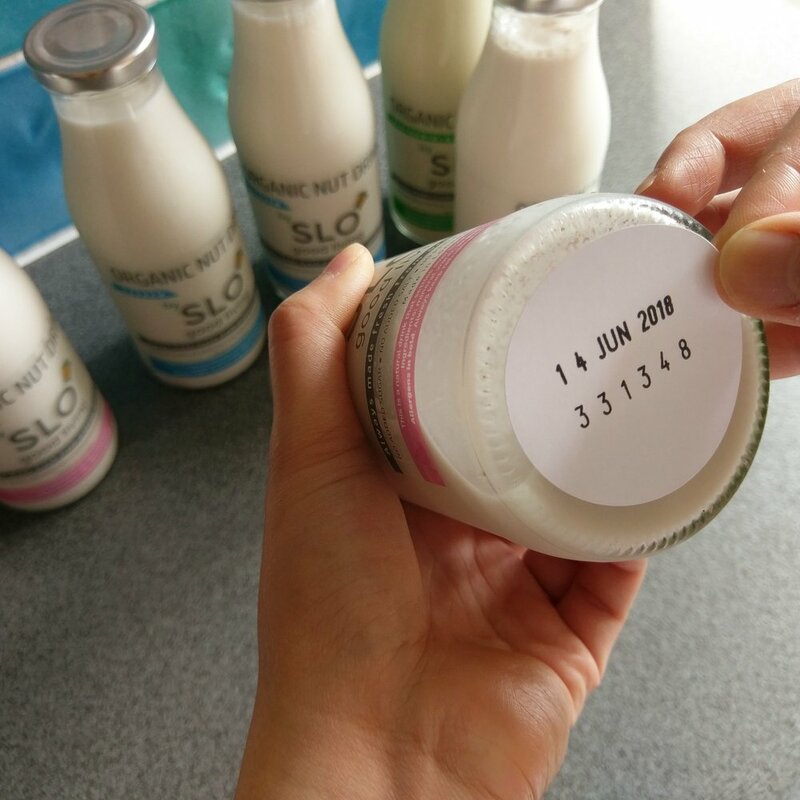 They are the first to create and deliver completely fresh and innovative organic nutmilks to West London neighbourhoods. Their nutmilk story began in their own Ealing kitchen when they realised they could make fresh nutmilks superior to store-bought ones. Judges at Great Taste Awards agreed by awarding them a star for each of their almond and cashew nutmilks in 2016 and 2017. Fully committed to maintaining the highest quality, seasonal ingredients for their fresh organic nutmilks, they currently deliver to Ealing and surrounding areas. They create bold and exciting flavours unseen in supermarkets, using interesting nuts like pistachios and pecans. Their nutmilks are made completely fresh for delivery to each customer. All their nutmilks are certified organic by the Soil Association. Their nutmilks are pure and high in nut content – made from whole organic nuts and mineral water with no additives, preservatives, salt, sugar or extra flavourings. They use glass bottles which are better for the environment – they avoid plastic as much as possible throughout their packaging. My parents are consuming the pistachio and cashew in earnest. My dad says it feels wholesome. I thought the cashew nutmilk mixed well with my decaf. 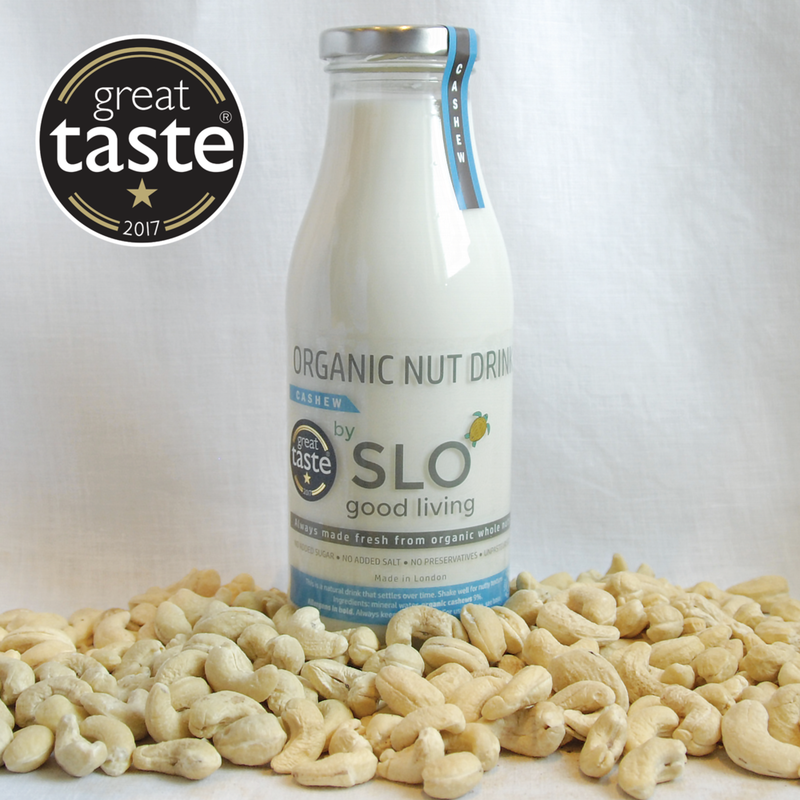 You can buy SLO GOOD LIVING nutmilks online through their website every week. They deliver every Monday and Saturday morning. There is no minimum order and only a small delivery charge. For a Monday delivery, order by midday on Sunday. For a Saturday delivery, order by midday on Friday. On the delivery day, they will keep you posted as to when your delivery is due to arrive within the hour. You can email them at info@sloHQ.com for more information.